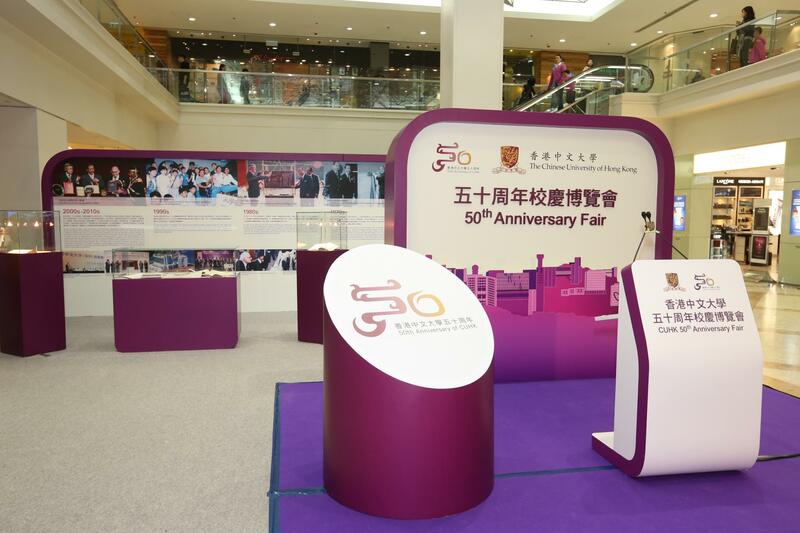 CUHK 50th Anniversary Fair Exhibition is a roving exhibition around Hong Kong to be held from March to October, 2013. It showcases the achievements and contributions of the University over the past 50 years, and is an opportunity for CUHK to outreach to the community. Exhibits include the “Report of the Fulton Commission” which recommended the establishment of CUHK in 1963; and the Degree/Diploma examination questions of CUHK in 1964. The Anniversary Fair exhibition will also expand its reach to local secondary schools from September to December. Display panels will be set up in schools to provide an opportunity for students to have a deeper understanding of CUHK’s history, campus life, study and research.